A job as a pest exterminator is a pretty decent way to earn a living. 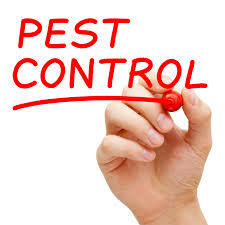 There are some licensing and permits that one needs to obtain from local authorities to make a career in pest control Perth Northern Suburbs. Companies such as Chambers Pest Solutions provide handsome career opportunities to new professionals trying to find footing in the pest control industry. Training is necessary to work as a professional in this industry. Upon completion of your training, you need to also appear for an examination to get your license. Another thing that’s required is apprenticeship. It benefits your career as well as your CV. When you work as a pest control in Perth Northern Suburbs professional, expect to get your hands dirty on a daily basis. Since you’ll have to control pests, which are creatures that nobody likes or wants in their home or place of business, let’s just say yucky things will become an integral part of your professional life. Plus, you will have to stay protected from diseases and any health problem because pests tend to spread those things. Being in business for about a decade now, we can tell you that there’s pride associated with our job. It feels good to provide relief and peace of mind to people. Our services are called in for a variety of pests and we stand by our promise to eradicate all pests from our clients’ premises. This gives us joy and job satisfaction. Our work has to undergo changes because every pest is different. Every pest needs to be eliminated in a different manner. We have to do a lot of modifying and improvising, no to mention thorough planning before undertaking any pest elimination process. But it’s fun. We love our job. May be that’s why we are the preferred pest control in Perth Northern Suburbs for the last few years.